Tomorrowland Photos: Disney City of the Future! 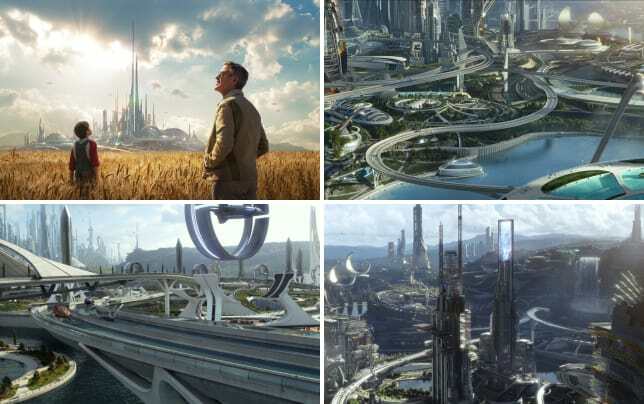 Hot on the heels of that super awesome Tomorrowland Super Bowl trailer arrives three new photos that show off the landscape of Brad Bird’s world. The Disney flick is the latest from Bird (a two-time Oscar winner) and judging by his work on The Incredibles and Mission Impossible: Ghost Protocol, we cannot wait to see what he does next with Tomorrowland. The photos arrived from the website TakeMeToTomorrowland.com, which is a website from Google and Disney that explores the physical world of Tomorrowland and is about as forward thinking as that Jurassic World Park Cam that debuted yesterday! 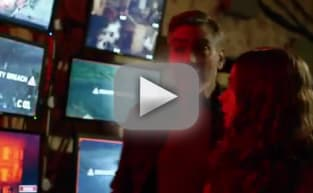 Tomorrowland stars George Clooney and Britt Robertson as a couple of scientifically curious peas in a pod who believe that there is much more to our world than meets the eye. Judging by these photos and the teaser that rocked our world during the Big Game, clearly they are right. Tomorrowland arrives in theaters May 22 and also stars Tim McGraw, Judy Greer, Kathryn Hahn, Keegan-Michael Key and Thomas Robinson.